HEFEI, China, April 1, 2018 /PRNewswire/ -- Sungrow, the global leading inverter solution supplier for renewables, is expanding its presence in emerging APAC solar markets, in particular South Korea and Vietnam. The Company will have a brand presence at Green Energy Expo Korea and the Solar Show Vietnam in early April. 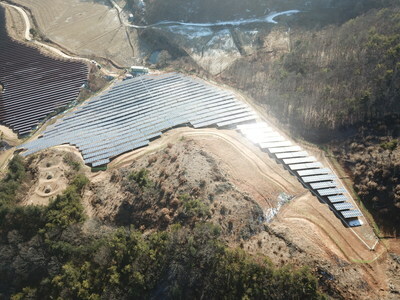 Backed by the "Renewable Energy 2030" Plan, PV installation in South Korea is expected to grow into a 37 GW market by 2030. Sungrow South Korea is now providing complete solutions comprising of central inverters, string inverters, power control systems (PCS) for energy storage system (ESS), and ONE-STOP solution for floating PV power plants, addressing a wide range of demands from the market. Major products include the SG1000 containerized turnkey station and SG50KTL-M string inverter which were widely deployed worldwide, the SC500 energy storage inverter designed for the ESS market in South Korea, and a floating system for PV power stations. Vietnam is another country in the APAC region embracing solar energy adoption. Sungrow's product showcased, apart from the 1500V product series, i.e. the 2.5MW medium voltage turnkey station SG2500HV-MV and the world's most powerful string inverter SG125HV, is its floating solution for PV plants. As a result of strong performance in established markets like China, India, Japan, Europe, and the US, Sungrow witnessed rapid growth in 2017, shipping 16.5GW of PV inverters. According to a recent report by PV Tech, Sungrow held the largest market share in India in Q4 2017, reaching up to 27%. Meanwhile, these markets also see growing demands for ESS and floating PV power plant solutions. "We are determined to explore new PV markets while consolidating our leading role in the established ones. Meanwhile, we will continue to strengthen our R&D capability to meet diversified needs from our global clients," said Prof. Renxian Cao, President of Sungrow. For those interested in Sungrow products, please visit us at Green Energy Expo Korea (Booth A-420, EXCO, Daegu, South Korea) from April 4-6 and Solar Show Vietnam (Booth Q06 for PV inverter and Booth S01 for floating system, GEM Center, Ho Chi Minh City) from April 10-11.